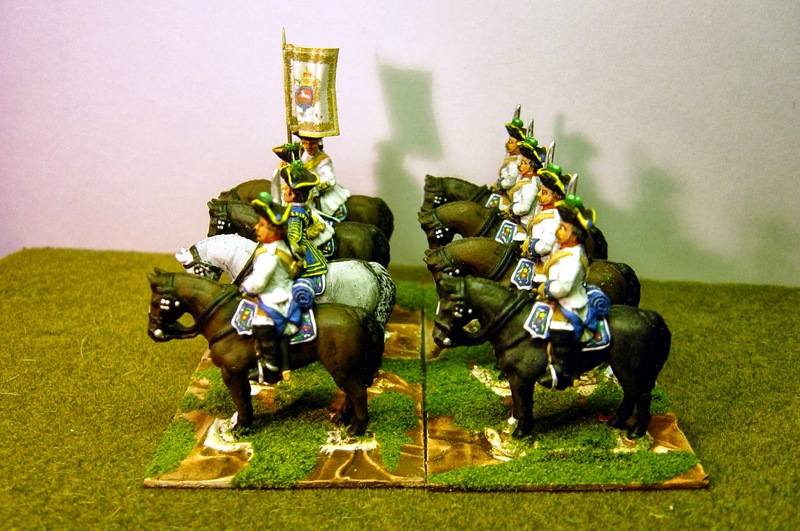 Another Hanoverian Horse regiment, this time, numbered 4-CA by their system (or the 7th of eight)Walthausen. 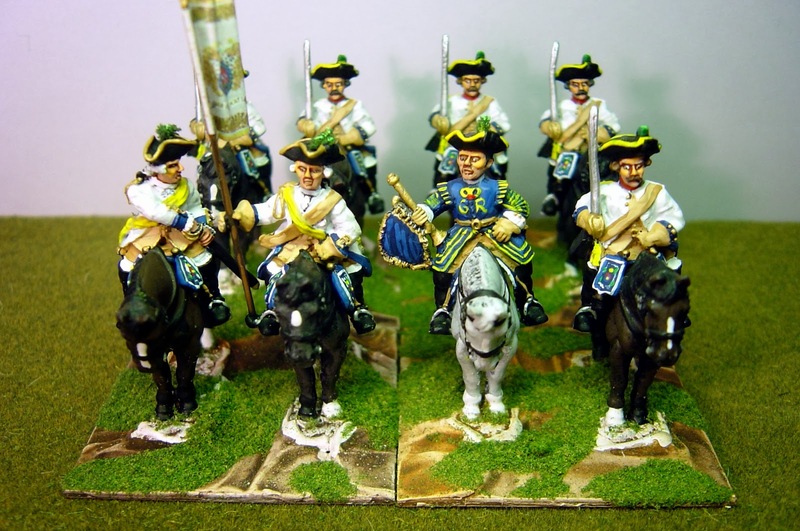 I'm not sure about the fighting quality of these Hanoverian cavalry units. 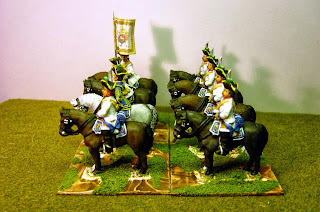 On the one hand, they were probably the best mounted in all of Europe as the stud-farms for the best 'heavy' horses were around Celle in Hanover. But on the other hand, see the Kronoskaf comment in the last post plus I have seen comments by other people rating the Hanoverian Horse regiments as being less capable than their Hessian allies. This may have been a matter of doctrine rather than courage in the early part of the war but I am not sure and I would appreciate comments from other people on this subject.